A few weeks ago I watched 1986’s cult classic “The Highlander.” “There can be only one” really should refer to the fact that this movie should never had sequels. The bones of the story are really strong. The historic pieces could use some tightening, and the “modern day police procedural” could use some tightening. The actors are acting their hearts out. Clancy Brown is magnificent as the Kurgan. The special effects are flat out terrible, and the make-up is, in all honesty, terrible… seriously flawed. Of the movies that I have seen being remade, I think the Highlander is ripe for the pickings. 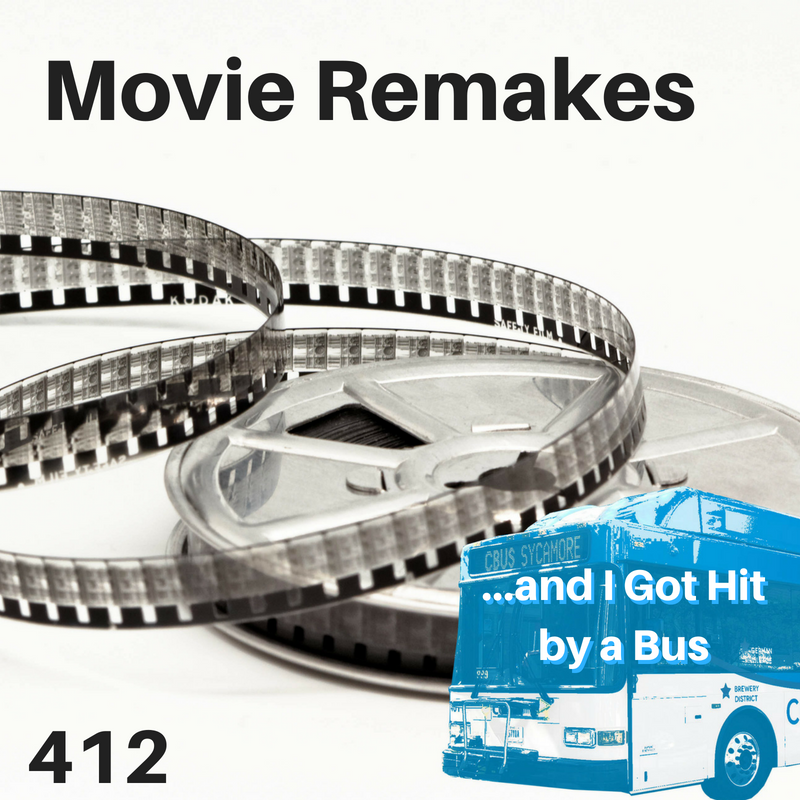 That made me ask the question “Movies: remakes‽” Thanks this week go to Bruce, Steve, Julie, Bill, Van, Dave, and Matt. Let’s get to the questions. 1. Best and worst remake of "7 Samurai"? 2. Are remakes better if they are closer to the previous (well known) movie or closer to the book? Examples of each? 3. Is there anything you think should be off limits - the original is so good that a remake should never be considered? I think remaking already good movies is one of the problems. It seemed to be more of a thing in the 90’s and early 00’s more than now. The trend now is to revisit movies with 25/30 year old sequels. 4. Anything that deserves or really needs a remake - due to age, tech advances, poor script, bad acting, or just not a good production? I say Highlander, as I stated above. True Grit. That was very well put together. 3:10 to Yuma is also pretty well made. Maybe only westerns can be remade? Psycho… Vince Vaughn brought nothing of his own to that movie. It was basically a film school exercise to copy a movie scene you liked. I think Vince thought the assignment was to copy a movie or scene you liked and then chose "movie." 7. True Grit - the new one or the old one? 8. Should the Goonies be remade? No. The Goonies is a an amazingly 80’s movie and needs to be an 80’s movie. If they “re-made” it, they need to completely reskin it like people “remake” the 7 Samrai. 9. Is there any Grace to be extended for the remake of Get Carter? Nope. That was the Michael Cain to Sylvester Stallone , right? No… no grace whatsoever. Those are not remakes (unless they use the same name a la “I am Legend.”) they are more like just different adaptations. 11. Should they reboot “The Good the Bad and the Ugly?” Caveat- if your answer is yes, explain why you’re wrong. THEY can remake whatever they want. I think they could soft reboot it as a different name. I am not sure why anyone would want to remake/reboot such a popular franchise. 12. Is it too early to remake the Last Jedi? There is no need to. I am not sure why everyone is unhappy with that movie. I could go into my reasoning, but no one’s opinion on this movie seems to be movable. 13. So, what out of the usual happened yesterday on Tuesday of last week when you were going to post this? I got hit by one of our transit authority’s busses. I was in a right turn lane and the bus drifted over into my lane as they were going straight through the intersection. I am fine. It was a low speed, light contact crash. I am fine. No injuries. Not even any PTSD associated with seeing buses. I was tired for about a day because of the adrenaline crash and my shoulders were a little sore, but other than that, I was fine. 15. Weren’t you just pissed when it happened? Were you angry at the bus driver for hitting you? I was frustrated by the time sink of being hit and filling out forms and such. I really feel bad for the driver of the bus, because we have all had bad days at work. The driver’s bad day ended up messing with mine. When I have a bad day, cars are not damaged. 16. What was the most frustrating issue? It took the police 4 hours to come out to fill out the accident report. It took them long enough that police dispatch called me back on my cell to tell me they had not forgotten about me. I was stuck on the side of the road for 4 hours waiting… this kept me from getting to the voting booth for the central Ohio special election. 17. You got hit by a bus, did anyone have to take over your work because that is what is supposed to happen “if he gets hit by a bus…”? Nope, I still have as much work to do, and now I have to deal with an actual insurance claim to boot. 18. Seriously? You were hit by a bus? Yes, seriously. I had a car around me for safety reasons, but I was indeed hit by a bus. We were both going relatively slow and in the same general direction so, as “being hit by a bus” goes, it was relatively safe. That being said, the contact happened on my car where three separate car components come together (front quarter panel, front bumper, and hood) so the cost of the fix is not going to be trivial. 19. Since the bus hit you, shouldn’t their insurance be paying for it? Welll… it should, however, from what I understand, the transit authority here is considered a “sovereign entity” which changes how insurance works. I think it is very akin to my being hit by someone without insurance. So, I have no idea how the financials will work out in the end. Well… waiting to get the insurance adjuster to see the minivan and get the repairs started.